credit: Betsy McCully. 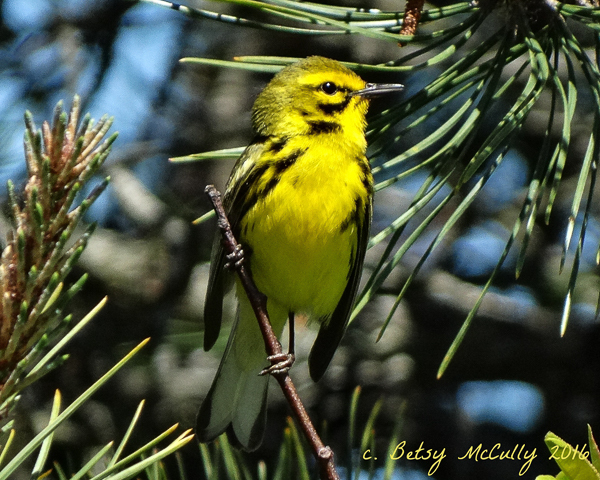 Prairie Warbler, Long Island, New York. Male. Scrub. Breeder.